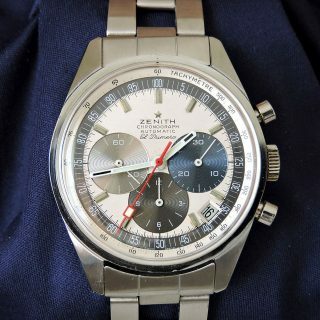 Not all weeks of eBay vintage watch hunting are created equally. Luckily, the past few days have been rather fruitful, with a number of interesting and somewhat accessibly-priced finds from Jaeger LeCoultre, Hamilton, and Gallet. Without further ado, let’s take a look at what’s up for grabs this week. 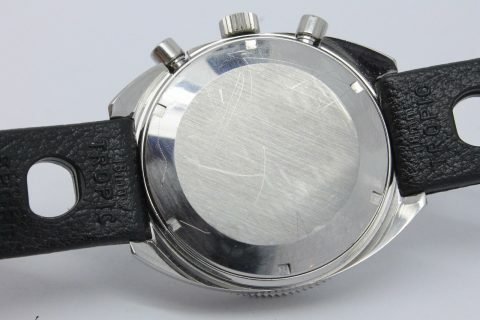 Without a doubt, the Memovox Parking is easily one of my favorite versions of Jaeger LeCoultre’s legendary alarm-equipped timepiece. 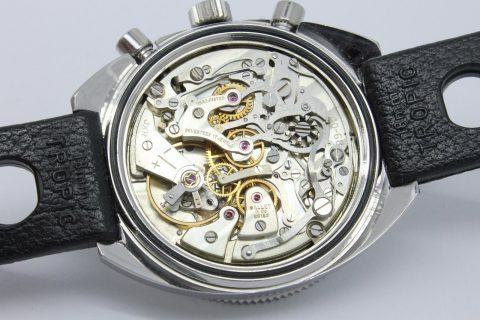 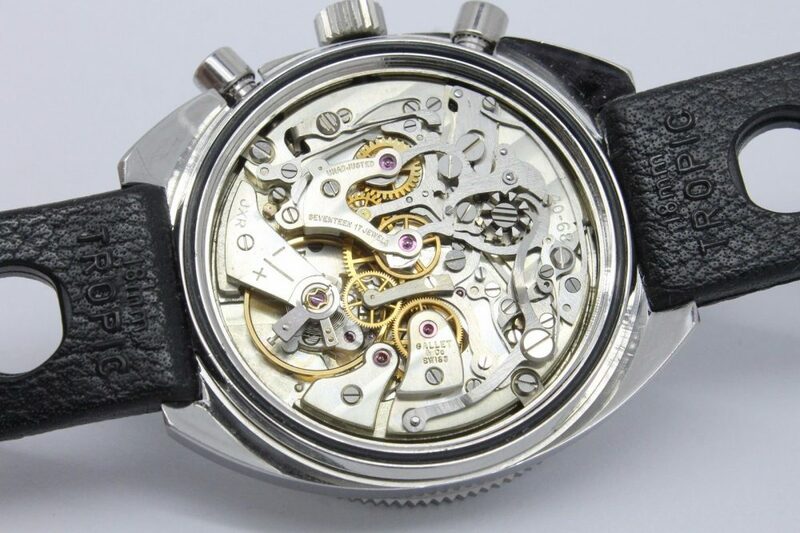 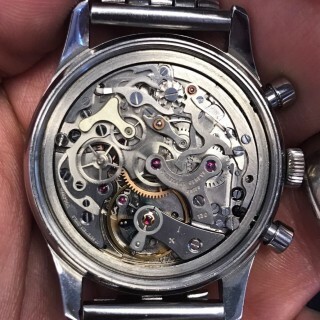 Although any Memovox can technically be used to accomplish what this watch sets out to do, the presence of the model-specific dial markings and “P” designation on the dial’s rotating portion really add something to the aesthetic of the watch, and dilutes the overall dressiness to some degree. 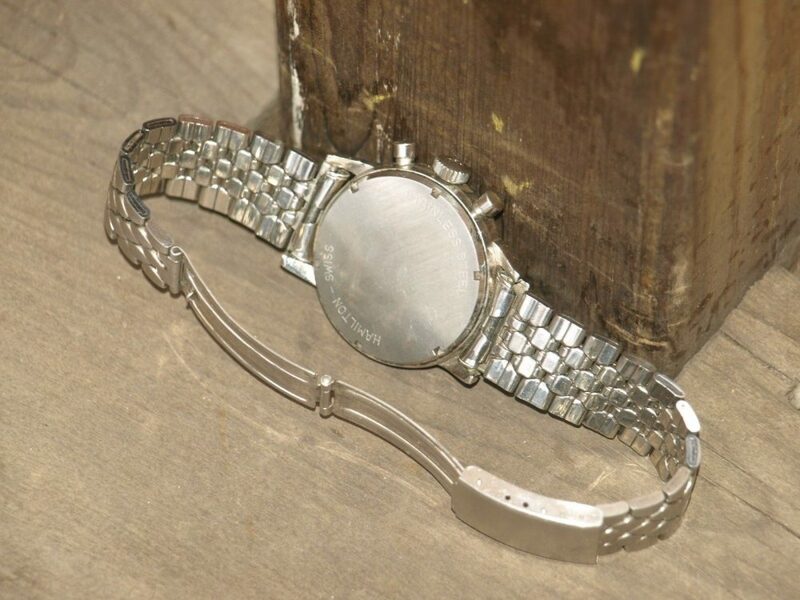 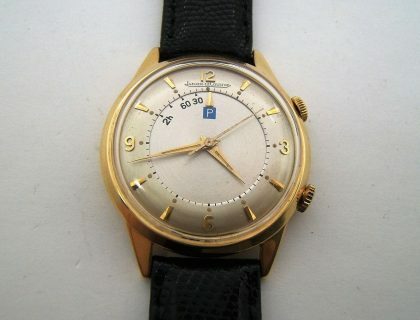 This is not a watch that surfaces often, but when one does, collectors take notice. Here’s an example that I came across while browsing eBay the other night, which as you can see has been maintained wonderfully by its previous owners. 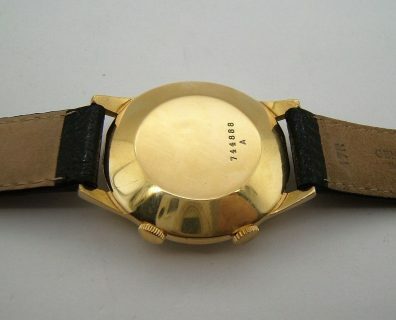 I’m not usually one for yellow gold watches, but this one could easily warrant the making of an exception. Truly great examples of Heuer’s Carrera appreciate in value with the passing of each day. 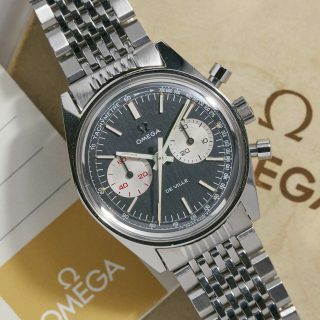 If you’re the lucky owner of one of these outstanding chronographs, this notion certainly pleases you, but for the Carrera-less, the same cannot be said. 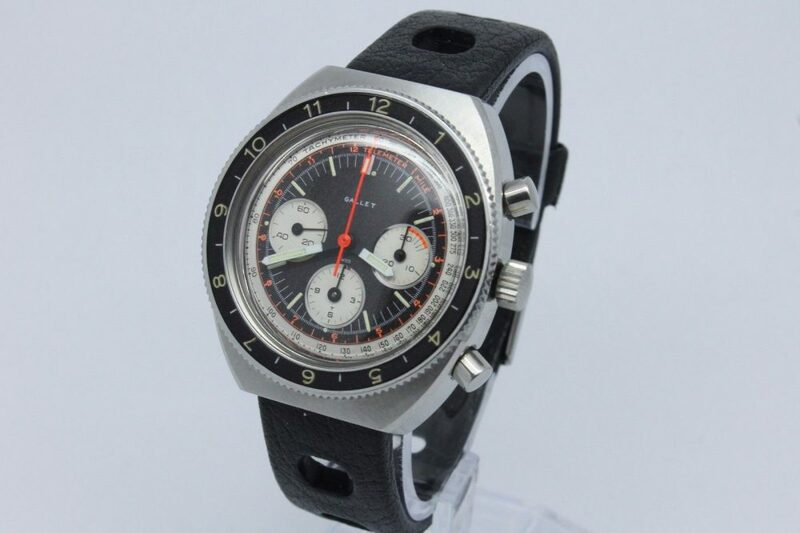 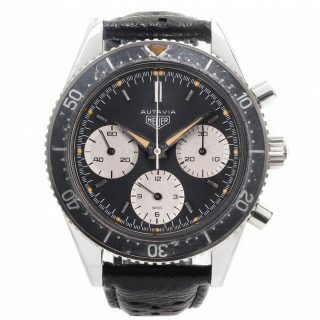 If you’re in the market for something along the lines of the aforementioned chronograph, Heuer produced a number of Carrera-resembling wristwatches for brands like Hamilton, that are now more accessibly priced than their highly-coveted cousins. 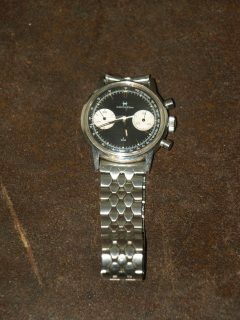 What we’ve got here is a so-called “poor man’s Heuer” made by Hamilton in the 1960s. It’s in great shape, with nearly all luminous plots intact, and clean, bright white subdials. Don’t be fooled by what looks to be a scratched dial, that’s just a mark on the acrylic crystal which can be easily polished out by hand in a matter of seconds. 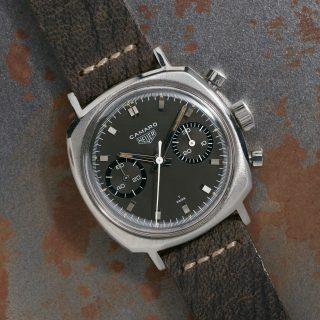 Your last vintage chronograph for the week is a good one. 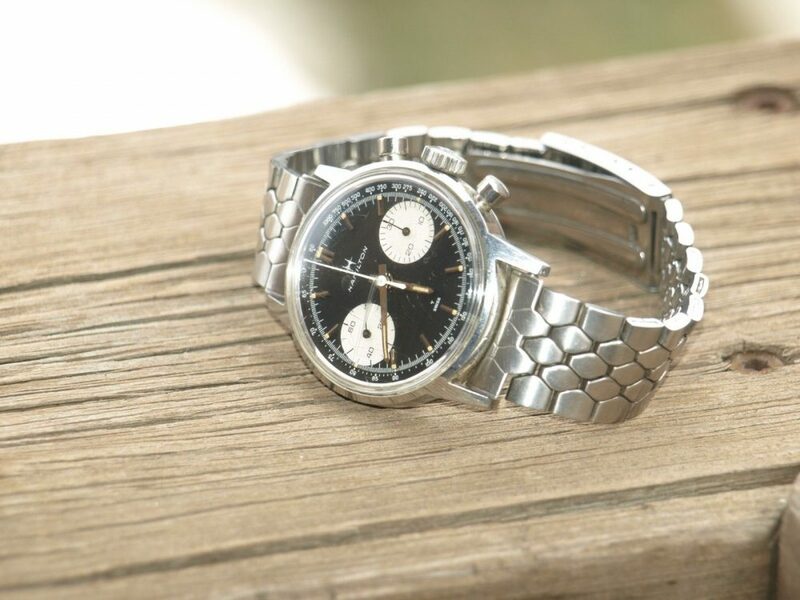 This is what’s known as a Gallet Olympico, and while I’m personally not the biggest fan of this case shape, I couldn’t help but include this piece in this week’s roundup, as it’s just an absolute knockout. 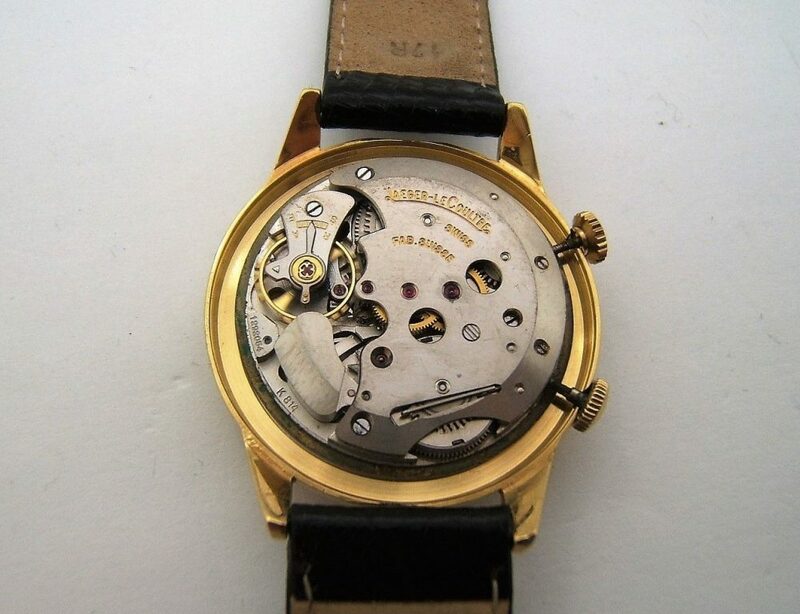 This piece is packed with interesting details that make for a terrific looking watch. 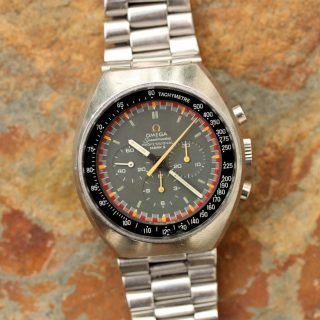 Namely, it has a bold orange telemeter scale (in addition to a tachymeter), and polished metal subdial surrounds that reflect light beautifully. 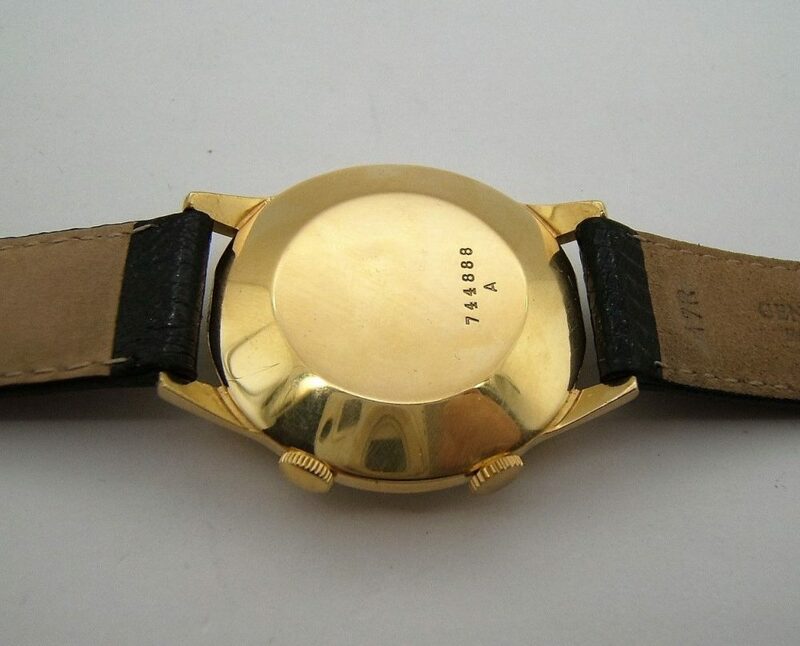 All of this is paired with a minimal amount of dial text, which keeps the design concise and legible.